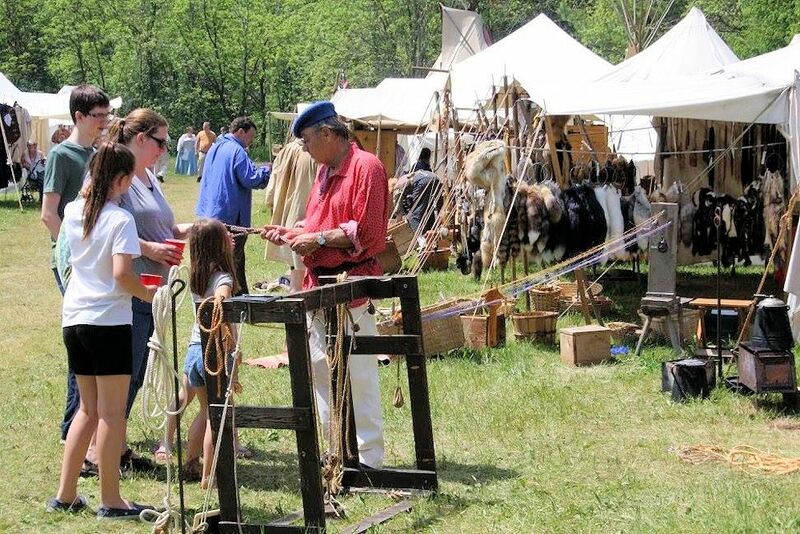 Experience pre-1840s frontier life at the Annual Cannon River Rendezvous on May 23-27, 2019 hosted by the Twin Cities Muzzle Loaders near Cannon Falls, Minnesota. You’ll enjoy the sights and sounds of a mountain man rendezvous in this secluded glen along the river. What better way to spend your Memorial Day Weekend than at the Twin Cities Muzzle Loaders annual Cannon River Rendezvous? The rendezvous site is located just west of Cannon Falls, in a secluded, primitive area that fits the idea of a Pre-1840s rendezvous location. We look forward to seeing you at our Cannon River Rendezvous. At the Cannon River Rendezvous, you will experience a fur trade encampment typical of the period from 1750-1840 and visit with reenactors portraying the many unique characters that gathered after a winter of trapping to trade goods, test their skills, and swap tall tales with their friends. Enjoy demonstrations of period skills and lifestyles, including black powder shooting competitions, primitive archery and tomahawk-throwing contests, and campfire cooking. The public is invited to try their hand at many of these activities, including shooting. Visit the merchants on “Traders’ Row”. Smell the aroma of food cooking. Hear the sounds of laughter and singing, music of the time, and children playing games as they did in the day. Official Website – Public Info for more detail for public/visitor hours and activities. Thursday, 8am-9pm Setup in all camps. One hour allowed to unload vehicles. Period correct after setup. Friday, 7-9am and 4-9pm Setup in all camps. One hour allowed to unload vehicles. Period correct after setup. Friday, 10am-4pm Open to public. Primitive camps must be period correct. Saturday, 7-9am and 4-9pm Setup all camps. 6-9am will be last chance to drive into primitive camp to setup. Saturday and Sunday, 10am-4pm Open to the public. Monday, 10am-3pm Open to the public. Memorial Day Service at 1pm. Monday, after 3pm Tear down begins. Main primitive camps must remain period correct until 3pm. Please tear down as much as possible before bringing vehicle into camp. Official Website – Participant/Camper Info for more detail on setup, teardown, camp rules, competitions, etc. Shooting shall be of a pre-1840 style gun, open sights and patched round ball. Pets are allowed, but must be leashed at all times and cleaned up after. Trash disposal will be provided. 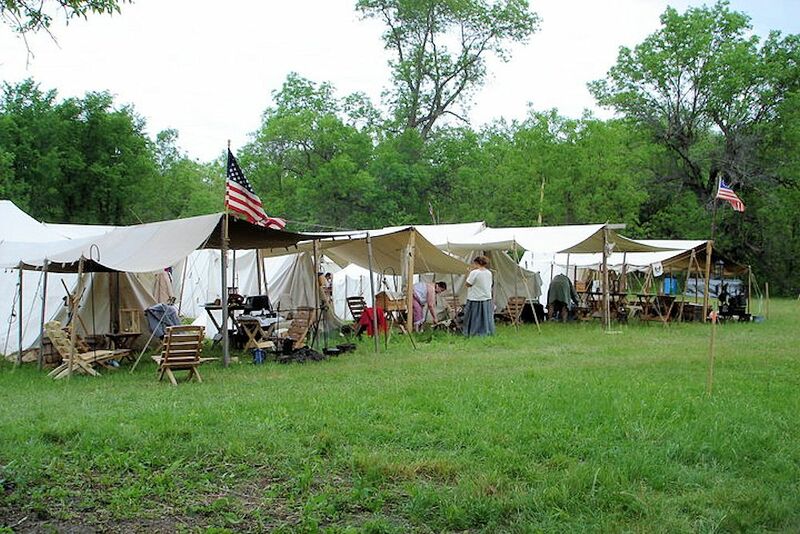 Mark your calendar so you that you don’t miss the next Cannon River Rendezvous in May on Memorial Day Weekend, hosted by the Twin Cities Muzzle Loaders near Cannon Falls, Minnesota.